Would you prefer a Peppermint Ice Cream Sandwich, or perhaps a Mint-Night Snack? 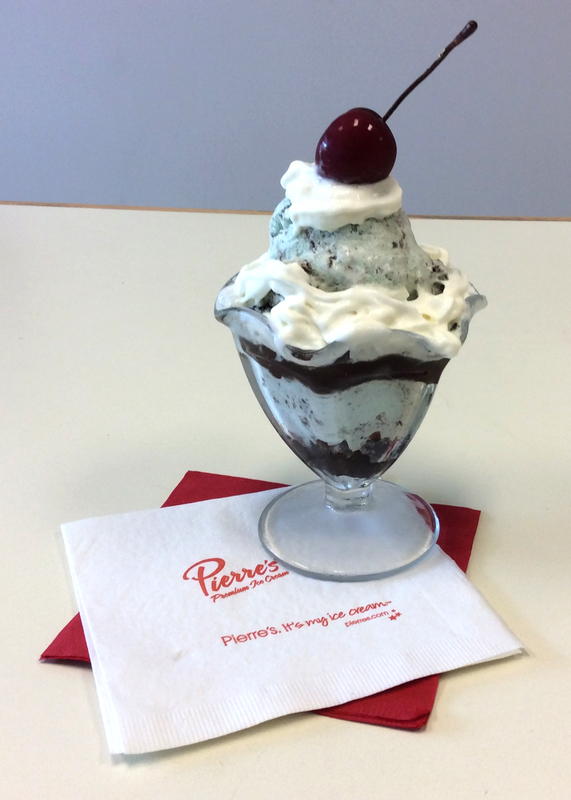 Pierre’s Ice Cream Company is excited to announce its two newest treats… Mint-Night Snack Ice Cream and Peppermint Ice Cream Sandwiches. Both are perfect for any celebration. They’re also excellent for anyone seeking to leave Santa a little something extra-special for his busiest night of the year! They say Santa loves cookies. We can’t wait until he tries this new flavor! Mint-Night Snack is a combination of two beloved Pierre’s Ice Cream flavors, Peppermint and Vanilla, swirled together with special chocolate candy cane sandwich cookies for the ultimate treat. 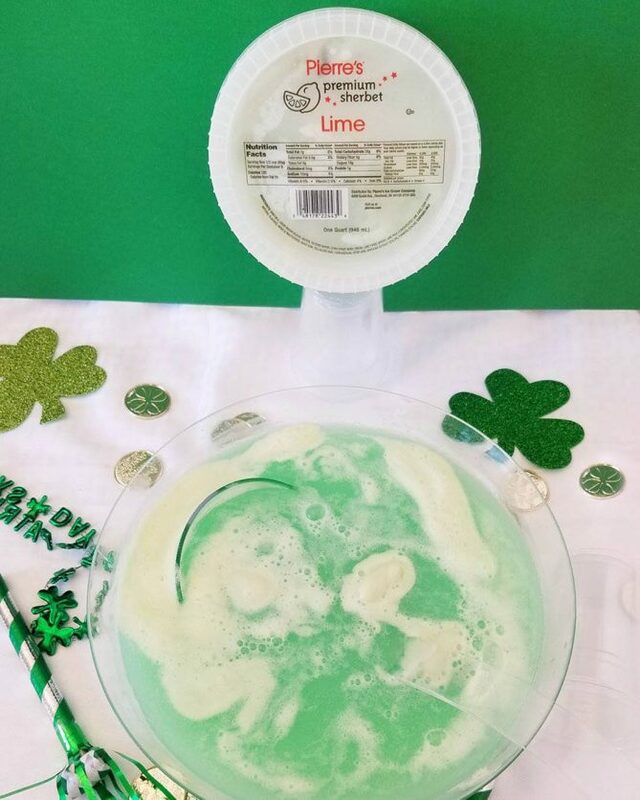 It’s a delicious flavor to share at any holiday celebration. 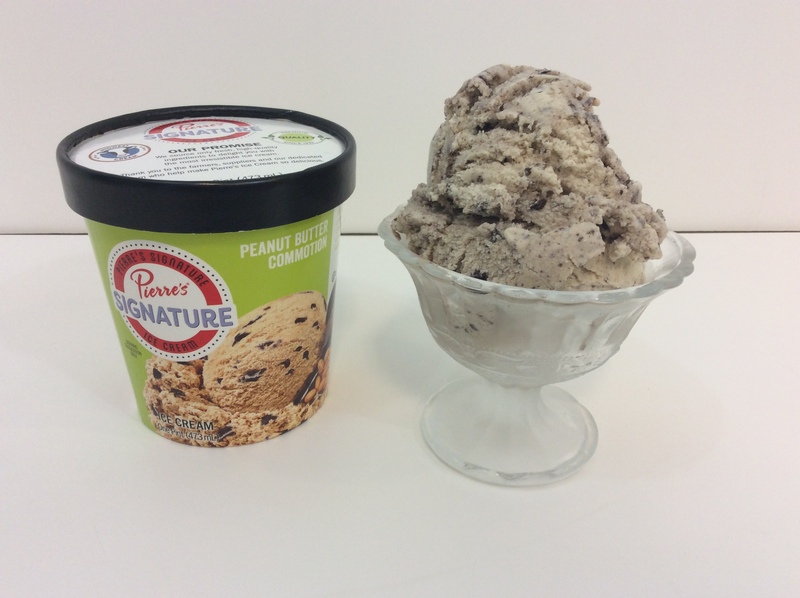 Mint-Night Snack will be available year-round at all stores that offer Pierre’s Ice Cream 1.5 Quart flavors. New for the holidays! Pierre’s Peppermint Ice Cream Sandwiches feature delicious peppermint ice cream layered between two chocolate ice cream sandwich wafers. They’re a delicious and convenient treat to serve at parties or for a quick break from the hectic holiday season. They even fit on Santa’s favorite cookie plate! Pierre’s 10-Pack Peppermint Ice Cream Sandwiches are available now where Pierre’s Premium Novelties are sold and will only be available through the holidays while supplies last. 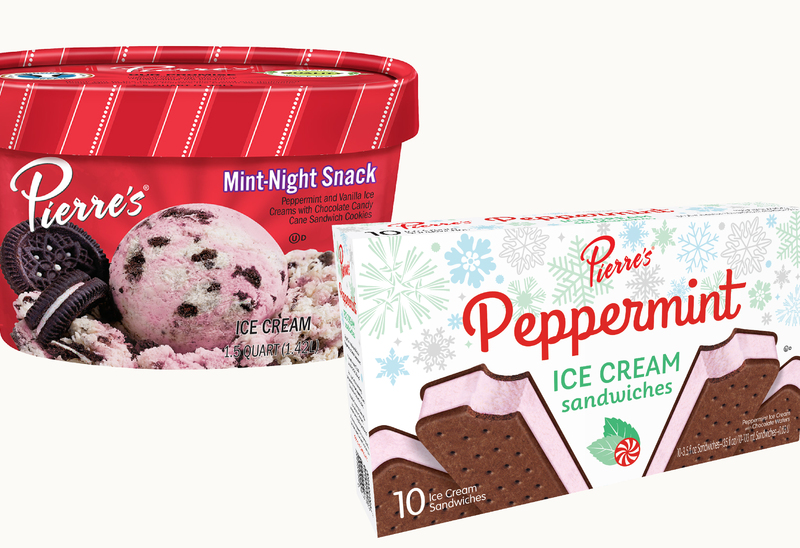 Mint-Night Snack and Peppermint Ice Cream Sandwiches join Pierre’s Peppermint Stick Ice Cream 1.5 Quart, a holiday tradition for generations of Pierre’s Ice Cream fans.